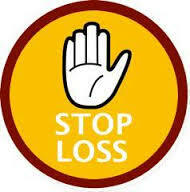 The word Stop loss is very commonly used and heard from whoever related to financial market. Financial market is an mixture of Profit and Loss. In that we are struggling here to maximize the profit by minimizing the loss. Stop loss which is much fear and sad to hear that happening for our trading account. But none of the intraday traders or positional investors can escape from stop loss. Any successful intraday trader will have discipline to maintain strict stop loss in their trade. An order placed to sell a stock when it reaches a particular price when the pricing moves against of our expectation.This is called stop loss. A stop-loss order is resisted to limit an investor’s or trader’s loss on a stock. Stop loss order can be used for both long trades and short trades, in which case the stock price would be bought if it trades above a defined price. A stop-loss order is very useful when trader or investor unable to watch or monitor the live market. However, execution is not guaranteed,until unless the price touches or the stock is halted or gap down gap up in price. It is known as a stop-Loss order. 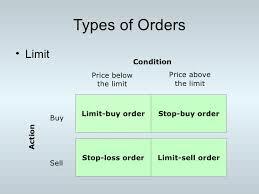 A stop loss limit order is an order to buy a security at no more (or sell at no less) than a specified limit price. This gives the trader some control over the price at which the trade is executed, but may prevent the order from being executed. A stop loss buy limit order can only be executed by the exchange at the limit price or lower. For example, if an trader is short and wants to safe his short position but doesn’t want to pay more than Rs.100 for the stock, the investor can place a stop loss buy limit order to buy the stock at any price up to Rs.100. By entering a limit order rather than a market order, the investor will not be caught buying the stock at Rs.110 if the price rises sharply. Alternatively a stop loss sell limit order can only be executed at the limit price or higher. A stop loss market order is an order to buy (or sell) a stock once the price of the stock climbed above or dropped below a specified stop price. When the specified stop loss price is reached, the stop loss order is entered as a market order (no limit). In other words a stop loss market order is a order to buy or sell a security at the current market price prevailing at the time the stop order is triggered. This type of stop loss order gives the trader no control over the price at which the trade will be executed. A sell stop loss market order is a order to sell at the best available price after the price goes below the stop price. A sell stop price is always below the current market price. For example, if an trader holds a stock currently valued at Rs.100 and is worried that the value may drop, he/she can place a sell stop order at Rs.90. If the share price drops to Rs.90, the exchange will sell the order at the next available price. This can limit the traders losses if the stop loss price is at or below the purchase price. A buy stop loss market order is typically used to limit a loss or to safe the existing profit on a short sale. A buy stop price is always above the current market price. For example, if an trader sells a stock short hoping the stock price goes down in order to book profits at a lower price, the trader may use a buy stop loss order to safe himself against losses if the price high. Trailing stop loss maintains a stop-loss order at a precise percentage below the market price (or above, in the case of a short position). The stop-loss order is adjusted continually based on fluctuations in the market price, always maintaining the same percentage below (or above) the market price. First of all, the beauty of the stop-loss order is that it costs nothing to implement. Your regular commission is charged only once the stop-loss price has been reached and the stock must be sold or brought. Secondly, but most importantly, a stop-loss allows decision making to be free from any emotional influences. People tend to fall in love with stocks; we believe that if we give a stock another chance, it will come around. This causes us in delay, giving the stock yet another chance and then yet another. In the meantime, the losses mount in huge. In an intraday trade stop-loss occupies 2% and and whole in a month maximum affordable stop loss by an investor or trader is 6% as per the study results globally.  To succeed and make profit in intraday trade following stop loss rule is more important. How a food cannot be prepared without salt like the same trading cannot be done without stop loss. If you have any doubts and clarification required about this article fell free to write a comment. If you interested in this article, kindly share it with your friends.